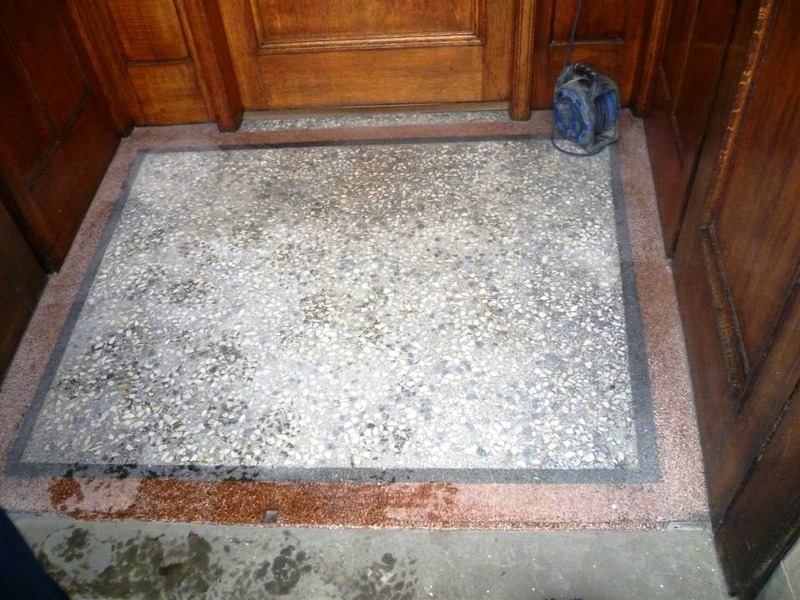 This entry was posted in Tile and Stone Problem Solvers and tagged cleaning services, cleaning tiles, floor restoration, Glasgow, grout cleaner, sealing, terrazzo tiles, tile cleaning, tile maintenance, vestibule by AbzDominise. Bookmark the permalink. 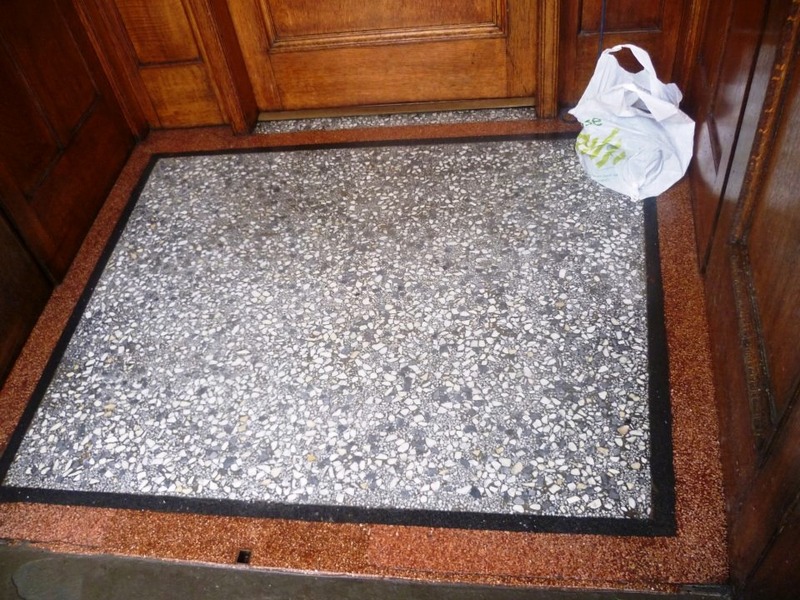 Terrazzo, now that’s a floor you don’t see very often these days.